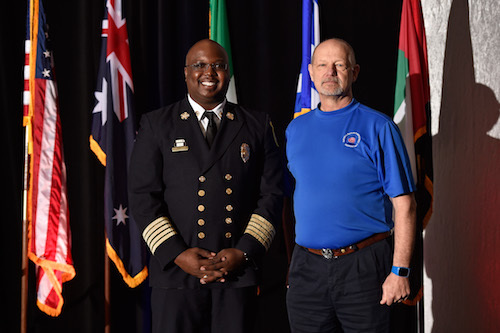 Director of Division of Florida State Fire Marshal Julius Halas, CFO, started the day with a warm welcome to Orlando and Florida. 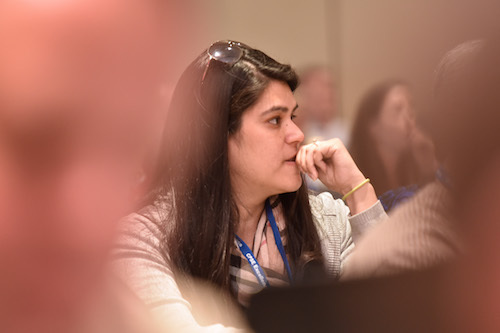 The Commission on Professional Credentialing (CPC) met earlier in the week and conferred 53 new designees and re-conferred 60 designees. 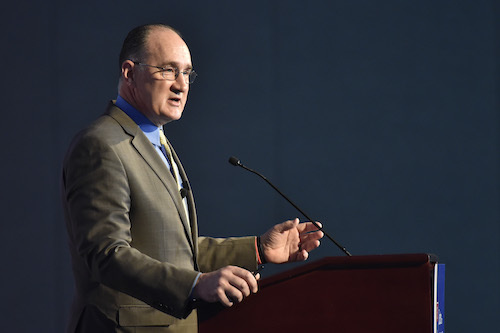 During the Credentialed Officer Recognition Lunch, all officers designated over the last year were honored and those in attendance were asked to stand and be recognized. 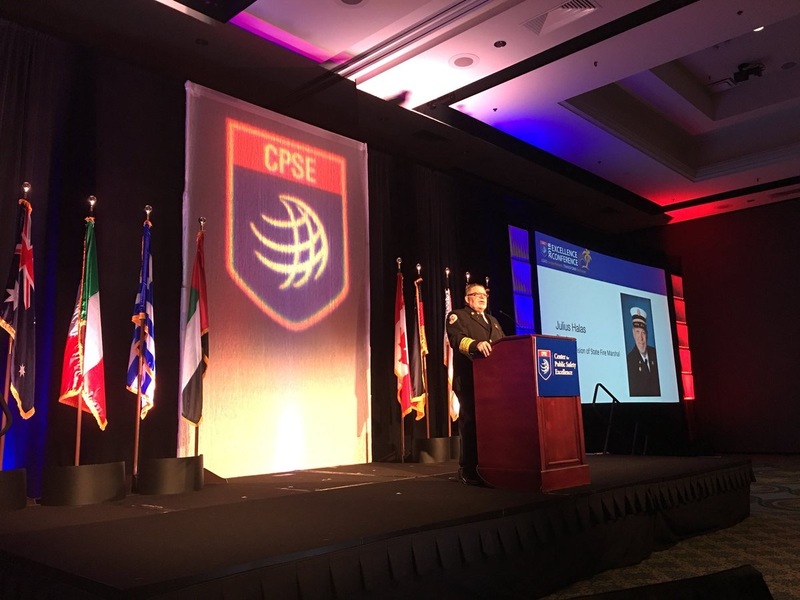 Chief Reggie Freeman, CFO, CPC Chair, addressed the attendees and reported out that there are now 2,138 credentialed officers. Of special note is Chief Rick Mason, CFO, who was re-conferred for his 7th term. Chief Mason, who retired from the New Hampshire fire services in 2011 and is now the Training and Education Coordinator for NFFF, was among the first group of 17 officers who were designated in 2000. 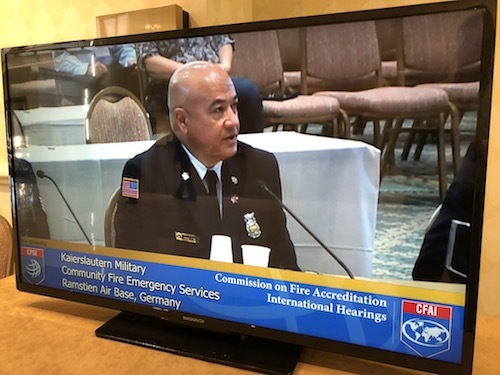 Over the course of two days, 21 agencies came before the Commission on Fire Accreditation International in public hearings to be considered for accreditation or reaccreditation. Agencies came from across the United States, Greece, Germany, and Italy, both civilian and Department of Defense. The hearings were simultaneously shown on a monitor in the lobby as well as webcast and watched by hundreds of people online. 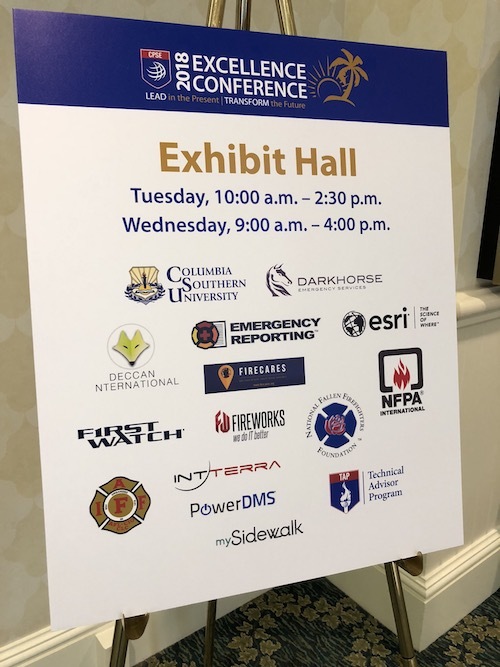 A key part of our conference is the opportunity to network with vendors that have products and services that can help organizations in their efforts towards continual improvement.